Welcome One and All to our Website! 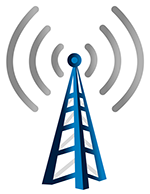 The goal of this website is to provide you with a little information about the Sun Country Amateur Radio Society, our repeaters, some of the activities associated with our group and a bunch of general ham radio information. KA4WJA/R, 146.970, Voted "Best (non-Linked) Repeater" in "4" Call Area. Click Here to Read about more about it Needless to say, we are very proud of this recognition! Our group is more of a social group rather than a official structured club. We get together every 2 weeks and meet at one of the local restaurants in town for some food, fun and relaxation. We start at 7:00PM and continue on until we are ready to call it quits for the evening. Our next meeting is at Las Margaritas on Tuesday - April 23 2019 @ 7:00PM. If you would like to learn more about ham radio, if you think you have some interest in ham radio but would like to learn more or if you are a local ham operator looking for a great group of people to socialize with, we encourage you to come and join us. Everyone is welcome!! Changed ISP: We changed our Internet Service Provider from Spectrum (Brighthouse) to Frontier FiOS. They offered a much better package for about the same service that we had before at a lower cost. Hopefully their service will be as good as what they advertise. Email Server: Due to some issues caused by the take-over of Brighthouse by Spectrum, we are no longer able to host a mail server on our system. We are fine with the web server because we have a way to fix that using a small program. The likelihood of Spectrum changing their policies is very slim so we are no longer pursuing remedies to get the mail server running again. The status of the email server has not changed with the new ISP. Website: Even though the website has been completed, we are constantly working to make this website more informative.. The latest changes have been toward automating as many of the functions of the website as possible. We try to do as much of the development as we can during the late night hours to try and keep any interruption of service to a minimum. We always welcome any new items to post on the website. Website Development: It took a lot of time to get everything moved over from the old website and then move the server to the new network without any interruption of service. There will be some things that I will add from the time to time. If you can't find something you were looking for, let me know and I will try to restore it back as it was. Otherwise we'll try to keep the information here as up to date as we can.